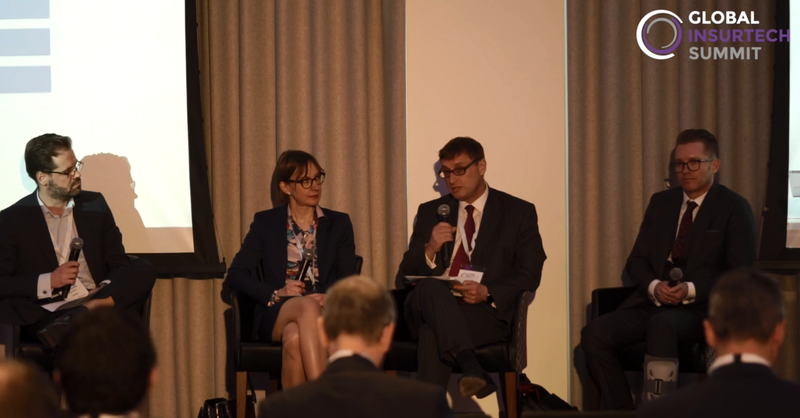 GDPR has not just been burdensome on financial services, but offered new opportunities, whether it’s getting firms to actually understand their data or even improving existing regulations, according to a panel at the Global InsurTech Summit 2019. There is an unprecedented level of regulations entering the market, stretching financial institutions resources further than ever. Typically, regulations are met with a lot of negativity and how they will impact a business severely; however, in the end they offer a lot of benefits for consumers, but also the institutions. The panel at the Global InsurTech Summit, which included senior staff from AutoRek, SCOR, Direct Line, and Theta Lake, discussed the regulations impacting insurance firms and how they’re being received. GDPR has probably been the most notorious regulation over the past couple of years, and it has big implications across the entire financial world. We are quickly approaching the year anniversary of GDPR and while fear levels were astronomical on its launch, the year passed rather smoothly. When the regulation deployed on 25th May 2018, firms across Europe were worried by the magnitude of the task to protect all their data and cope with endless streams of information requests. However, information requests were not as abundant and the major firms were the only ones in the regulators eyesight on launch, and in large, had their systems ready. As time passes, regulators expectations of GDPR compliance will be higher and fines will likely increase as well, but the regulation has not just brought challenges, but offered some improvements. One of the added bonuses of GDPR is that it has forced financial institutions to acknowledge the information they have about consumers, rather than just storing it and losing it in a system. While this might not seem like much of a benefit, data has become such a powerful tool for companies to improve how they interact with a consumer. Legacy systems or isolated databases have hindered an institution’s ability to access their data for a long time, but now it is also preventing AI technologies from reaching their full potential as they simply cannot leverage all of the data a firm has. As you would expect, this requires a hefty amount of changes to the infrastructure of an institution’s operations, particularly regarding communications and customer interactions. He continued to explain that GDPR is helping to ensure institutions keep up with things they should already be doing. At many organisations, the concept of archiving has typically been that you keep information for five years and then remove it, but most of this data is still there simply because it got lost. Now they’re forced to know what they have and store it properly, improving data privacy, as well as cyber risk. David Baker, director of group regulatory risk and compliance, Direct Line Group agreed that GDPR has brought with it a lot more transparency with data. Although, he believes data protection has been driven more by cyber threats, than requirements of regulations. Clarity has been the biggest success for GDPR, and consumers are beginning to realise they have control of their data and do not just need to bend to the will of an organisation. Access requests have been available in the past, but now a business must clearly demonstrate the information they give a consumer is really everything they have. Companies now need consent for how they will use data and are clearly showcasing what data is being used for and ensure it will not be used in another unspecified manner. This does not come with problems, as access requests need to be completed quickly and differentiation needs to be made between significant and less significant data. Going one step further, data protection regulations differ around the world, and getting a system compliant with one could be completely different to somewhere else. When firms are preparing for new regulations, regulators are often put in the firing line for not offering the right support, but they are not at fault. The panel all agreed that regulators have been doing a very good job with regulations and if firms want to ease compliance, the key is getting hands-on involved with the regulators as early as possible. Devin Redmond stated that with regulations like MiFID II or Dodd-Frank, which are both focused around communication environments, it is hard to keep up with compliance alone just because communication is changing so quickly. Since these regulations were deployed the tools available have changed, for example, Twitter and Instagram adding video tools. The UK’s Financial Conduct Authority was one of the bodies which Redmond had praise for, commending their “forward thinking in terms of creating the Sandbox, and creating an opportunity to get introduced to RegTech.” Other regulators are following suit, building sandboxes and innovation centres to support the adoption of RegTech solutions. Priscilla Cournède agreed that the sooner and institution gets involved with a regulator the better it is. One distinction she made was that in France the regulators and the supervisors are very separate entities and its important to coordinate with both to ensure the smoothness of compliance.